Chip maker Intel has announced the availability of its quad-core 3rd generation Intel Core processors, codenamed Ivy Bridge – the first to be built using Intel’s latest 22-nanometer tri-gate manufacturing process. Chip maker Intel has announced the availability of its quad-core 3rd generation Intel Core processors, codenamed Ivy Bridge – the first to be built using Intel’s latest 22-nanometer tri-gate manufacturing process. Until now, computers, servers and other devices have used two-dimensional transistors, but these transistors will eventually reach the physical limits of miniaturisation at atomic levels, preventing the continuation of Moore's Law. However, Ivy Bridge transistors have a three-dimensional structure, allowing Intel to increase transistor density and squeeze more capabilities into a smaller area of the die. The new processors offer a 10 percent improvement in performance over previous generation Sandy Bridge chips and marginally increase energy efficiency, thanks to the use of Intel Smart Performance technology and Turbo Boost, which dynamically manages performance and power. The most significant enhancement is the addition of Intel HD Graphics 4000, which offers support for Microsoft DirectX 11, OpenGL 3.1 and OpenCL 1.1. Intel claims that Ivy Bridge processors have double the HD media and 3D graphics performance of previous Sandy Bridge models, delivering dramatic visual and performance computing gains. “The graphics core runs slower in Ivy Bridge than in Sandy Bridge, but the execution units themselves are larger in Ivy Bridge and more capable, so they're actually running at a lower frequency but still delivering more performance,” said Scott Pendrey, desktop product manager at Intel. Ivy Bridge has been described as a “tick-plus” in Intel's “tick-tock” model. This is because, while the size of the underlying transistors has been reduced, the graphics architecture has also been reworked. 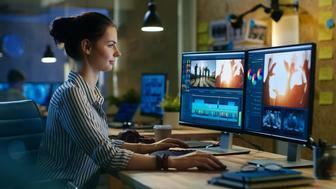 In benchmarking tests with Intel Quick Sync Video 2.0 technology built into the new processors, users were able to convert their videos up to two times faster than last year’s processors. 3D graphics capability also doubled, while multi-threaded applications such as Cinebench recorded a 20 percent improvement. Intel's Ivy Bridge processors also include security features such as Secure Key and OS Guard, to safeguard personal data and identity. When paired with the 7-series chipset, code-named “Panther Point,” the new processors can make a portion of the screen unreadable to spyware, helping prevent a hacker from obtaining login credentials that could lead to identity theft. Panther Point, announced last month, also provides support for Intel Thunderbolt and Rapid Storage Technology 11, as well as integrated USB 3.0, offering faster data transfer capabilities. 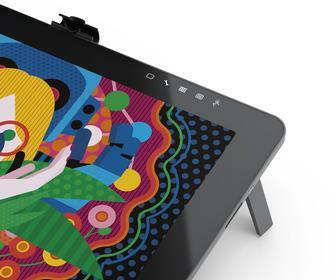 The chips are available now in a selection of desktop, mobile and all-in-one devices. However, the real target for Ivy Bridge processors is ultrabooks – a new category of thin and light laptops, featuring fast turn-on times, long battery life, and high processing speeds. Pendrey said the first ultrabooks featuring Ivy Bridge processors will come to market on 5 June, with more to follow throughout 2012. He said that Intel's long term-vision was for ultrabooks to become the “normal” content creation device. “You are going to see a variety of styles; you're going to see clamshell ultrabooks, you're going to see convertibles, you are going to see tablets – a tablet won't be an ultrabook specifically but you are going to see tablets coming into the marketplace as we move forward as well,” he said. Pendrey added that ultrabooks would go “hand-in-hand” with Microsoft Window 8 when it launches later this year, but will not support open source Linux-based operating systems. IDC predicts that 30 million to 40 million ultrabooks will be sold worldwide in 2012. However, analyst Antonio Wang warned that pricing and competition from tablets will continue to temper consumer interest.